This is my fourth Haven Conference I have attended and each year that I go, I’m in a new season of my blog. 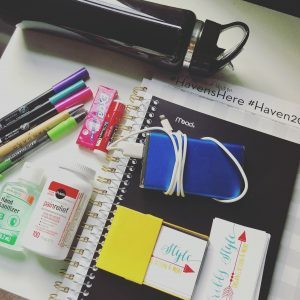 In case you don’t know what Haven Conference is, it’s a blogging conference for DIY and Home Decor bloggers where we connect with other bloggers in various stages of their careers, we meet brands like Home Depot, Ryobi, Behr, and Rust-Oleum (to name a few), learn the behind the scenes information that help us grow our blogs, do hands on projects… I could go on and on. Basically it’s a two day crash course full of awesome. Every year I walk away changed, with new connections, and enough knowledge that makes my brain want to peace out and set up a chair on a beach. Business cards ready for the conference! When it’s all over, I take a look at where I am and set sights on where I want to be by the time the next Haven comes along. This past year alone I feel like I’m leaps and bounds over the girl who came the first year to Haven. Heck, the past 6 months alone I have had SO much growth even my husband is taken aback. All of that growth that came from the connections and relationships I made the Haven’s before. All my essentials ready for two days worth of learning!! I needed to have my mind right because whenever you are around people who are at various stages of their career, it’s important to be strong in where you are in your journey, and know that you cannot compare yourself. Ever. Chris and Peyton Lambton kicked off Haven with their opening speech. 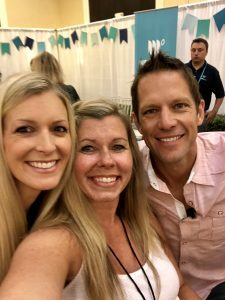 You would know them if you watched “Yard Crashers” or now “Going Yard” or if you are a huge Bachelor and Bachelorette fan (raises hand), where they were both contestants. They spoke of how they got their start, the bumps along the way, and how they got to where they are now. (And I did show him pictures of my yard in hopes that maybe he would take mercy on me and help a girl out.) The closing remarks by Shanty 2 Chic sisters Whitney and Ashley, who also shared their journey filled with lots of “no’s” and a really big “yes”, which resulted in a furniture and decor line at At Home stores nationwide. In all of their stories, they both outlined how important it was to stay true to yourself, be confident in your abilities, and never ever give up. Of course I’m a little biased by Whitney and Ashley, as I was on their team for the Ryobi Chopped competition. Three teams competed with limited tools and supplies to create a project in an hour. 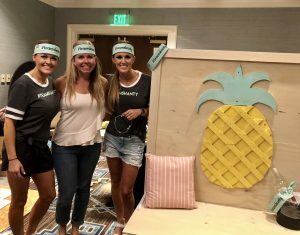 It was an intense and fun competition where yours truly not only came up with the idea of the project, but also cut out the huge pineapple, with assistance from Traci from Beneath My Heart and Jana from A Happy Blessed Girl, in the picture. Any chance to use power tools, I am ALLLLL over it. Posing with our finished project. 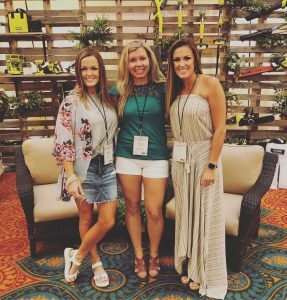 My mentor this year was Brooke Ulrich from All Things Thrifty and I knew that she was going to be awesome because, duh we share a name! Seriously though, she was a true gem and I adore her and her work. 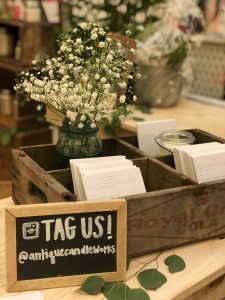 Plus, she’s besties with Mandi Gubler from Vintage Revivals and I’ve been enthralled with her and her husband Courtney, again another great husband name (wink, wink), as they renovate an old mercantile. Speaking of mentors, I was super sad to learn that my first ever mentor Chris from Just A Girl, won’t be returning to Haven next year. 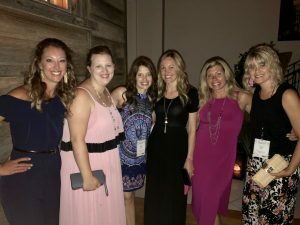 I cannot tell you how important it is to align yourself with people who have good hearts and I have been blessed with mentor’s who are knowledgable and rockstars inside and outside of Haven. 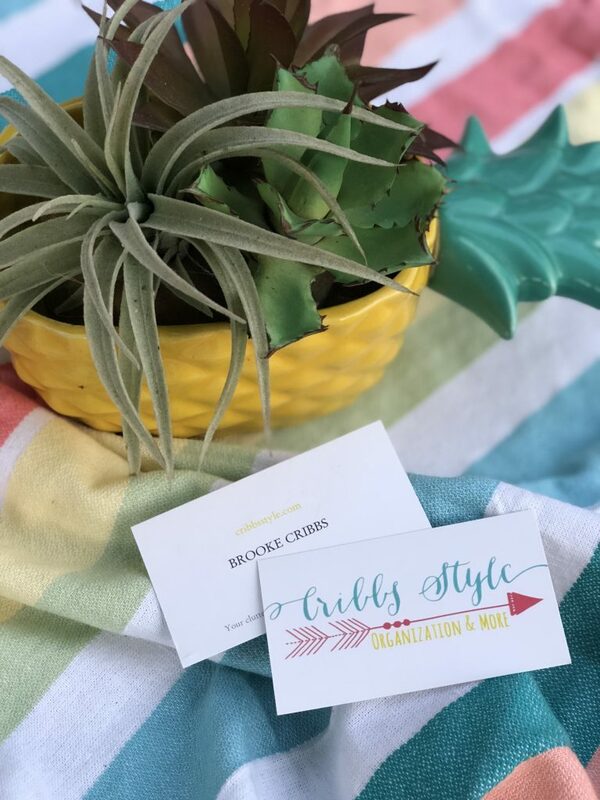 I adore Brooke from All Things Thrifty!! We had some deep conversations in our group! 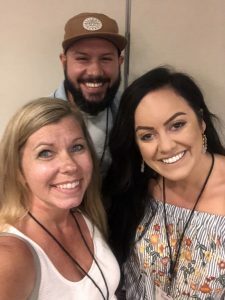 While I got to see the friends I have made along the way, I attended sessions on my two hot topics of photography and video, but the biggest goal of them all: building brand relationships. Being able to meet the team face to face from the Jeffrey Court One Room Challenge meant the world to me! Amanda and Andrew from Jeffrey Court who are the sweetest and most helpful during the competition! Then of course the judges Ashley and Jamin from The Handmade Home and KariAnne from Thistlewood Farms. Over the course of 6 weeks for the competition we all got to know each other pretty well and since then, there has been a pretty big void so it was nice to hug them! The “pinch me” moment came when I was invited to the Home Depot and Ryobi dinner. I don’t know if they’ll ever quite understand what it meant to receive that invitation, especially on the day that I received it. (I see you God- well played.) If anything it was the “you’re doing great just keep going” that I needed and I am super excited for what is to come! 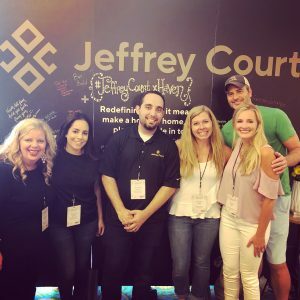 The crew from the Jeffrey Court One Room Challenge! 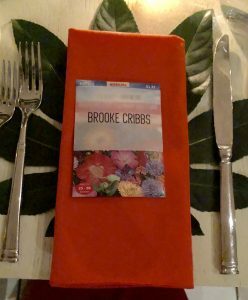 My pretty place setting at the Home Depot and Ryobi dinner. Jose and Liz Marie from Liz Marie Blog and White Cottage Farm were part of my table mates. I got to tag along with this talented crew too! Behr knocked it out of the park with their touches of Charleston! 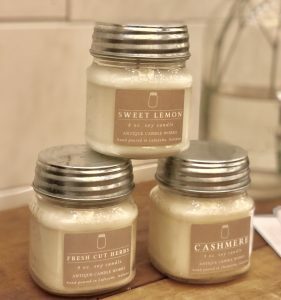 While I loved that Haven was here in Charleston, I am looking forward to it being in Atlanta next year and so is my family. 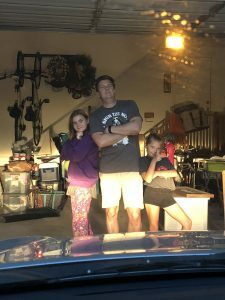 Let’s just talk about my family who has been my “why” on this blogging journey. My husband has been a rockstar and always takes the helm the days of the conference so I can soak it all in. 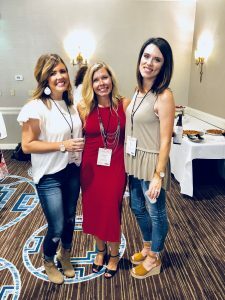 My girls, who I really didn’t get to see for two days, are always my cute little sidekicks who love my swag bag and love talking to the brands just as much as me. No matter where this journey takes me, and I have my goals, my girls already think that I’m a rockstar and to me, that’s everything. The rest is just icing. This was waiting for me when I came home. Love my tribe! 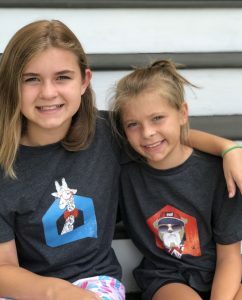 My world and my why sporting their new Hometalk t-shirts. 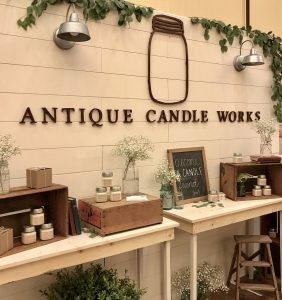 Antique Candle Works had the most adorable booth and is pretty much one of the few pictures I took that didn’t include people. Love your post and pics!! I am kicking myself for missing my chance to meet you in person. I was so fangirling in the background but I have enjoyed following you on insta and watch your stories every day!! Next year I am so gonna walk up and met you in person!! Thank you Dana!! I wish you would have, I’m just me!! Cant wait to meet you!!! 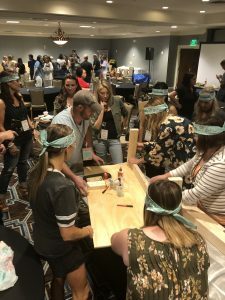 I just love the pineapple you came up with and built for the Ryobi Chopped competition! I really need to learn how to use power tools, they kind of scare me right now! lol! It looks like you had an amazing experience. I need to take a look at those books you mentioned. Love the post! You had a really good time, didn’t you?! 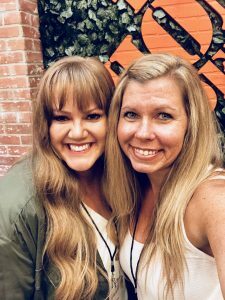 What a blessing to be invited to the HD and Ryobi event!❤️ I’m glad we got to “meet”, or at least winked and waived to each other throughout the weekend! Next time, let’s visit a wee bit! Love to hear about your journey! I really did, did you?? Yes I couldn’t agree more!!! Loved getting to see you face to face! !